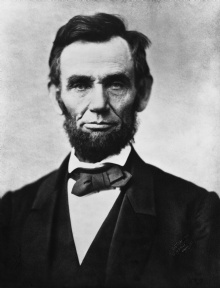 "Fourscore and seven years ago our fathers brought forth on this continent, a new nation, conceived in Liberty, and dedicated to the proposition that all men are created equal"
This quote is written / told by Abraham Lincoln between February 12, 1809 and April 15, 1865. He was a famous President from USA, the quote is categorized under the topic Equality. The author also have 114 other quotes.